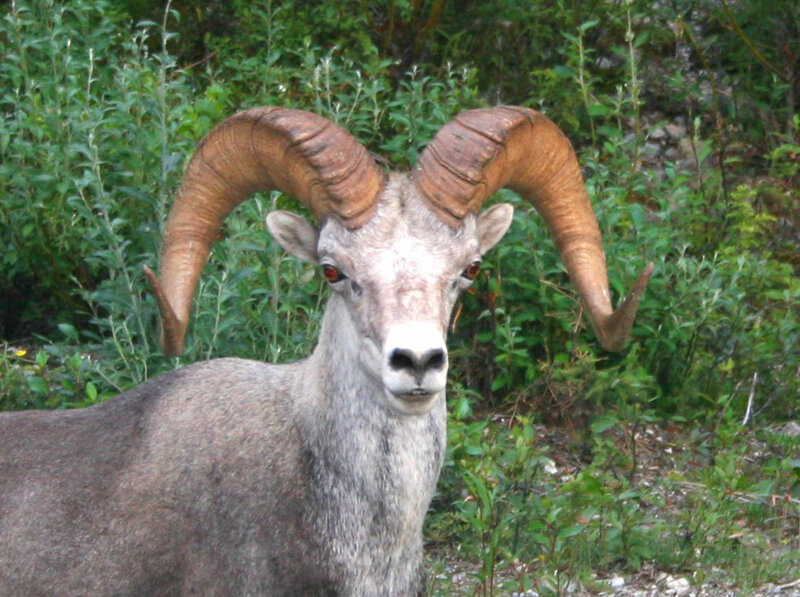 There has been a long time debate on the aging of rams in the field by counting the annuli on their horns. This won’t be a tutorial on “aging” a thinhorn to the specific year (we’ll touch on it) but more on how to judge an Old Ram vs. a Young Ram. It’s been studied and documented that harvesting the older mature rams is the least harmful harvest on the population dynamics of any given herd of Stone’s Sheep. Sheep are a species that suffer very low mortality rates among healthy animals in their prime of life (5,6,7 even 8 ) year old rams because of the way they live. They look out for each other! These mid-mature rams are the most likely to survive the harsh winter directly following after the rut. The older 8,9,10+ rams are the least likely to survive, so in order to harvest the individuals that will least impact the herd we should be targeting these older more mature rams because “technically” they are going to die within the next year or two anyways. If a ram is 10+ it’s a good chance he’s on his last legs and likely may not even be breeding anymore, instead sitting back and watching the drama of the rut unfold conserving their energy for the long winter ahead and taking the limited feed from the young up and comers. Now that aside let’s start talking about a Thinhorn Rams horn… Thinhorn lambs are usually born in June (we’re talking stone’s sheep here)… If it’s born a ram this means he’s really only got 3-4 months from birth (june,july,august,september) for his horns to grow until winter and then they will cease to grow throughout the cold, harsh winter months when food is scarce and energy goes into creating body heat. 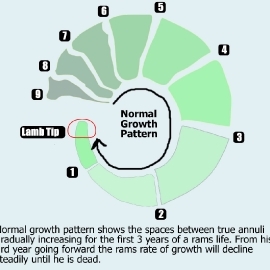 In the spring as early as April (weather and feed permitting) the growth begins again and this starting and stopping of growth every year is how the “annuli” or “growth rings” are formed on a ram. During the 2nd, 3rd, and 4th years of a rams life his horns will grow quite rapidly and you can see evidence of this rapid growth in the wide distances between his annuli. 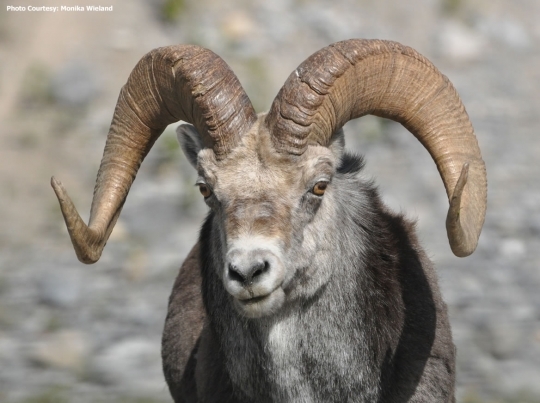 As a ram ages beyond 5,6 & 7 his rate of growth (in length) will become less and less as the years progress and his horns will gain circumference and mass instead. As illustrated below. This young ram appears to be roughly 3.5 years of age. He’s got quite a ways to go yet. This young ram appears to be roughly 4.5 years of age, Notice that this rams bases are starting to get noticably bigger. These first four years are when the ram will grow the fastest which is evident in the spacing of his annuli. From this point on the ram the ram will be putting less energy into horn length and more energy into the weight and circumference of his bases in preparation for the many battles he will encounter in the next few years during the rut. After the rams 4th year the distance between his annuli is going to start getting progressively shorter and shorter as that new horn growth is no longer put only into the length of the rams horn, but also into building up mass in his bases so when the rut comes and he’s old enough to participate (5,6,7+) he will be ready to take some substantial blows to the head during the many fights he may encounter when trying to breed. This young ram appears to be roughly 6.5 years of age. The bases are much larger and he’s starting to curl but at such a young age he’s still got quite a ways to go for “legal” status. This ram would now be considered “breeding age” and although he’s not the biggest ram, he’ll sneak in anywhere he can for some ewe. Take notice of how the spacing between his annuli is gradually getting smaller? You can clearly see the wide spacing of annuli close to his bases. A clue he’s a young ram. Just like the ram above, even though he’s sexually mature and now fighting for dominance within the band he’s still got a few years left until he becomes a truly great ram. This young ram appears to be 7.5 years of age. He might almost make full curl on his other side, but with the brooming and the fact he is visibly still a young ram, this is a ram better left on the mountain. In two or three more years he’ll be a great ram. This mature ram appears to be roughly 8.5 years old. His curl is very close to full curl but you’d really need to view this ram squarely from the side to make that call. Based on what is visible for Annuli he would be a legal ram by age. But that is a decision that would be left to you. Are there bigger rams? Yep, certainly… Is he a respectable 8 year old ram? Yep, certainly! 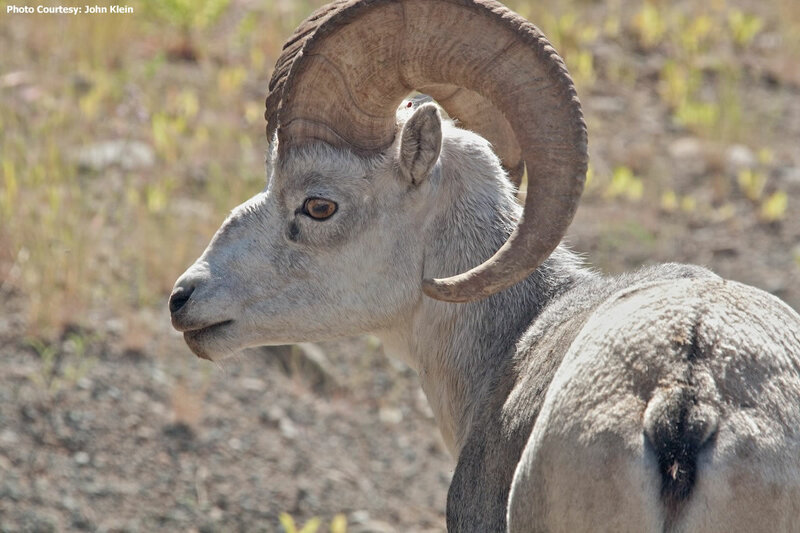 Aside from the fact that he looks like a good ram, there are other clues to his maturity aside from the fact that we can safely count 8 annuli with a couple of inches of horn left to go towards the base. He’s definitely legal by age and he’s definitely legal by curl and displays other characteristics of a good mature Stone’s Sheep ram. Appears To Be Full Curl. Tightly Packed Annuli Near Bases. Carrys Consistent Weight To Horn Tips. A Good Example Of A Legal & Mature Ram. The growth pattern on a ram is the gradual increase and decrease of growth over his lifespan as evidenced by the spacing between the annuli on his horns. 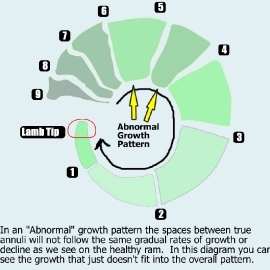 By knowing and understanding what a growth pattern is and how to look for it, you can better hone in on the calibre of ram you’re looking at when trying to make the decision on mature vs young. The ram on the right has not been marked. Now that you know how to indentify a growth pattern you can go ahead and try to spot the growth pattern on this ram on your own. The difference between a 40″ and a 36″ ram is only 4 inches in length. 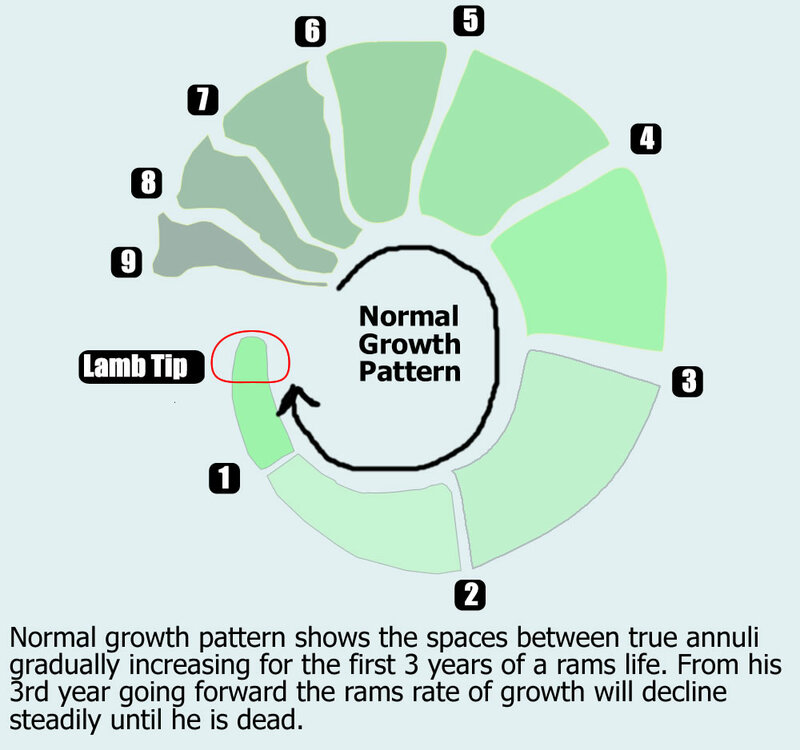 If you averaged that growth out over a period of lets say 8 years (a mature ram) that only equates to about 1/2″ an inch difference in growth each year. So the annuli on a 36″ or a 40″ ram (from the same general area) aren’t going to fall in radically different spots, there will be a consistency. By knowing what a growth pattern is, and how to spot one you can hone in on where the annuli SHOULD be and you’ll be in a better position to discount the false annuli that will surely be present. Just to go over it one more time… The growth pattern on a ram is the gradual increase and decrease of horn growth over his lifespan as evidenced by the spacing between the annuli on his horns. 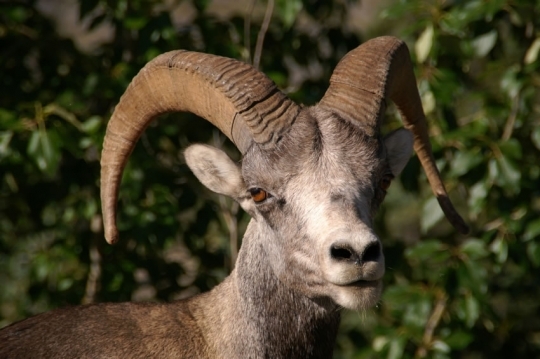 Old Ram Vs. Young Ram – How Can You Tell Without Aging? 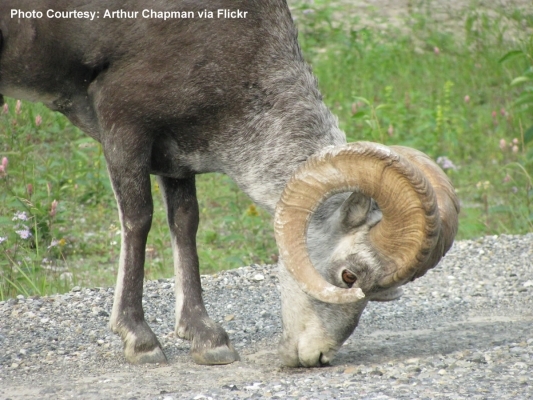 There are several clues to help identify a mature ram. You don’t always have to count the annuli, studying the horns themselves can teach you a lot too. Aging rams in the field can be difficult if you don’t know what to look for. 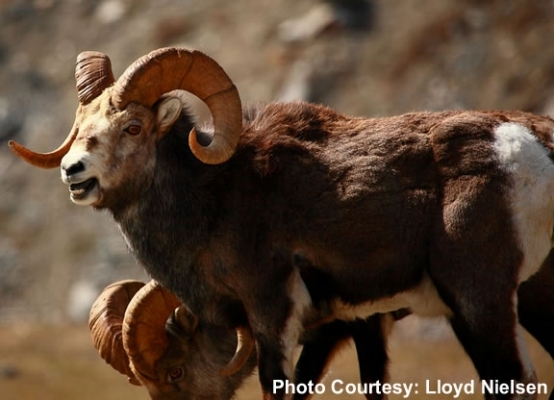 Every year this leads to the seizure of illegal and underaged rams across all species (thinhorn and bighorn) throughout BC. A practice that isn’t good for our sheep or future sheep hunting opportunities. 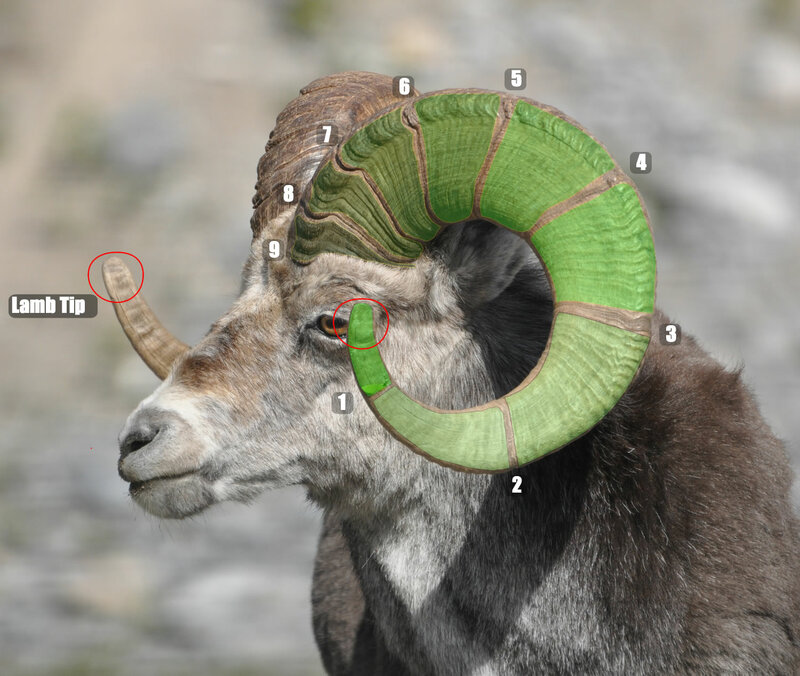 While many hunters trudge out into the mountains every year somewhat clueless as to what to look for aside from the full curl diagram in the game regulations, the ability to identify a mature legal ram, from an immature legal ram is a good skill to have. Without aging to the specific year there are many different methods talked about by guides and other sheep hunters as to how to quickly judging trophy quality of a ram, but for this article we’re going to stick with one of the simplest methods and probably the easiest for any new sheep hunter to quickly identify mature Stone’s rams out of a band of several. Doesn’t Carry His Weight To Tips. Large Spacing Between Annuli Near Bases. Carries Consistent Weight To His Tips. #1. Old rams usually have horns that will look pretty rough and weathered especially the bases. They may even have chunks missing and look very roughed up. #2. Old rams will carry their weight from the base of their horns right to the tips (or broomed off section), the horns will look heavy and consistent as opposed to a younger ram who will have horns that appear to be quite thin, especially when viewed from a distance. #3. 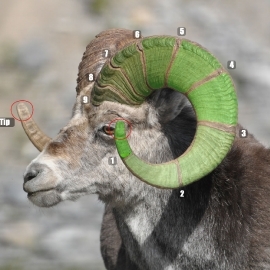 Old rams will have stacked Annuli at the bases of their horns, meaning it will be such a mess of compacted “rings” you won’t really be able to decipher what is or what isn’t without the ram being on the ground. Knowing more about these animals, and how to identify them will help you be more confident when you decide to pull the trigger on a ram. The ram on the left has very rough looking horns, there are chunks taken out, the visible annuli are quite close together and the annuli right near the base are very tightly packed and hard to decipher. These are all signs of a mature Stone’s ram. 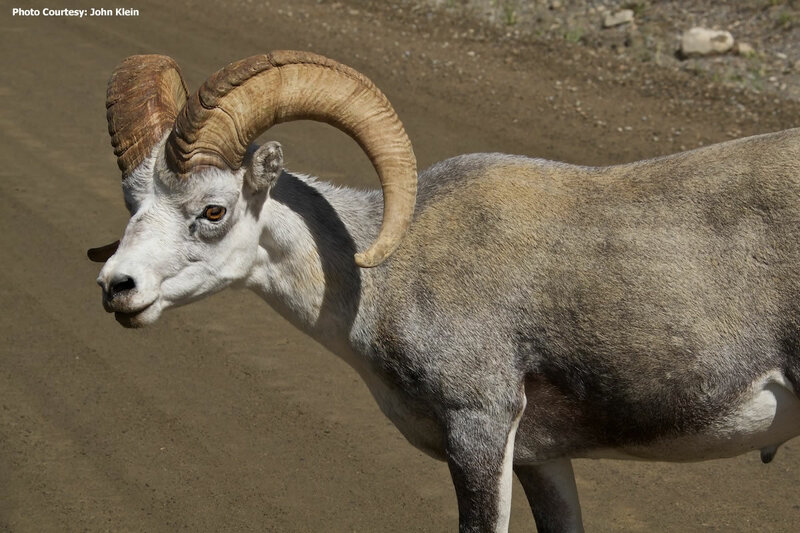 The ram on the right has smooth looking horns, the annuli are easy to see and are not compacted near the base. With annuli spacing that wide apart that close to the base these are characteristics of an immature Stones’ ram. With the horns marked it becomes much easier to see the differences. Sheep won’t have these fancy markings in the field so this is why understanding their growth patterns is a very important part of field judging the maturity of a ram. Based on this frontal view it’s pretty easy to tell this is a legal full curl ram. Based on what you now know about Stone’s sheep horns do you think this is a good example of a mature Stone’s sheep ram? This ram is very close to being legal by curl. Based on what you now know about Stone’s sheep horns do you think this is a good example of a mature Stone’s sheep ram? 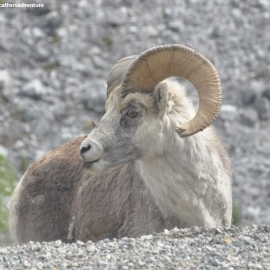 In Closing Stone’s Sheep are truly one of the most challenging animals to hunt in BC. They live in rough country, they can be extremely hard to find, and they can be even harder to indentify when you are lucky enough to get within spotting/shooting range. 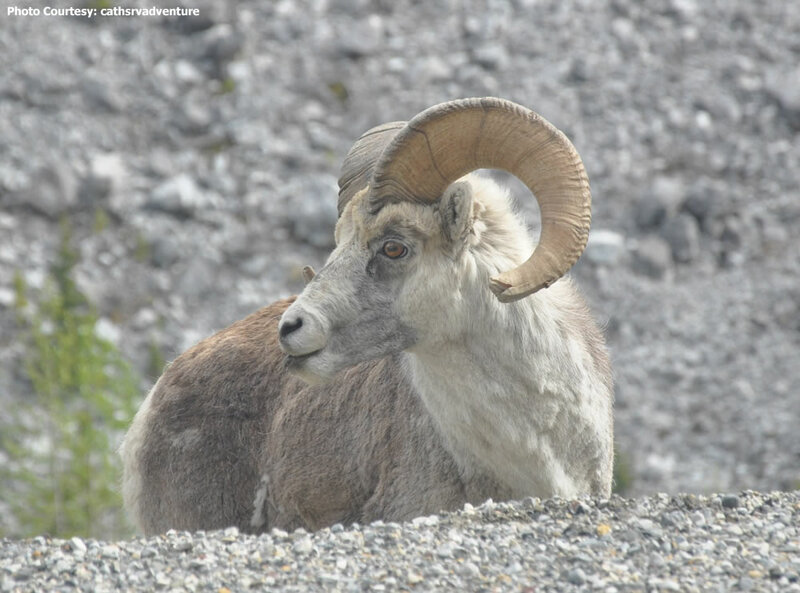 It can take many days on the mountain to find a great ram and hopefully with the help of articles like this one the task of indentifying the right ram for you will be made a little easier. Thanks To The Following Individuals For Their Assistance With This Article. Without the help and cooperation of the following individuals this educational piece would not have been possible. So a big round of thanks for them. Bill S. My Dad and an old time Stone Sheep guide with over 30 years experience. 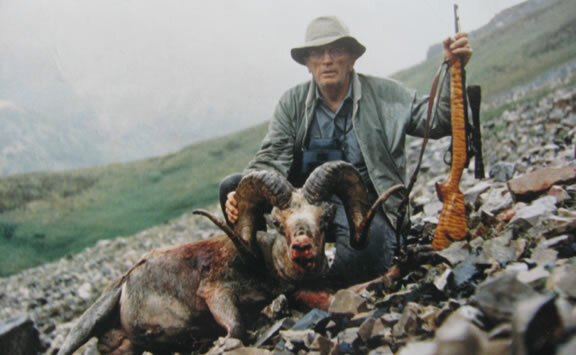 Red S. My Grandpa and an old time Stone Sheep outfitter with over 30 years experience. John K. – Use of some fantastic photos. Monika Wieland. – Use of some fantastic photos. CathsRVAdventure – Use of some fantastic photos. Arthur C. – Use of some fantastic photos. Lloyd N. – Use of some fantastic photos. If you have any questions about Stone Sheep or any comments you’d like to add to this article please free to post them in the comments section below. Awesome article man!! Great photos, examples, etc. Really appreciate an article like this! Thanks! Glad you found it helpful. Good luck in the hills this year! Great article Carl. Thanks for taking the time to sum it all up. Every new/novice sheep hunter should read this. Good luck on your hunt this year! Awesome description for identifying trophy vs non trophy sheep. I was always uncomfortable when bowhunting Stones because I had a difficult task “aging” them. This is the most comprehensive guide I’ve found. Thank you. Thanks for your comments. I am glad you found it helpful, good luck out there! Some day I look forward to using this information to help assist my guide is chosing a nice mature Stone Ram for me to harvest. Thanks for putting together great info such as this. I have printed this and will refer to it often from now on to become better at chosing a great Stone. Thanks for your comments! I hope you have a great hunt when it happens! Fantastic – without question one of, if not the most informative, postings I’ve ever read for judging sheep. Thanks for putting this awesome presentation together. 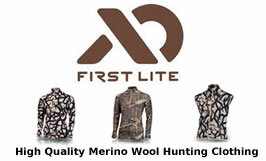 I wish I would have seen it earlier when i first started sheep hunting. It’s the best post on how to judge sheep I have ever seen. Time to go hiking! Thank you for your feedback! I am glad you’ve found it helpful. Yeah, it’s always a good time to go hiking! One of the best tools for judging sheep I have found. 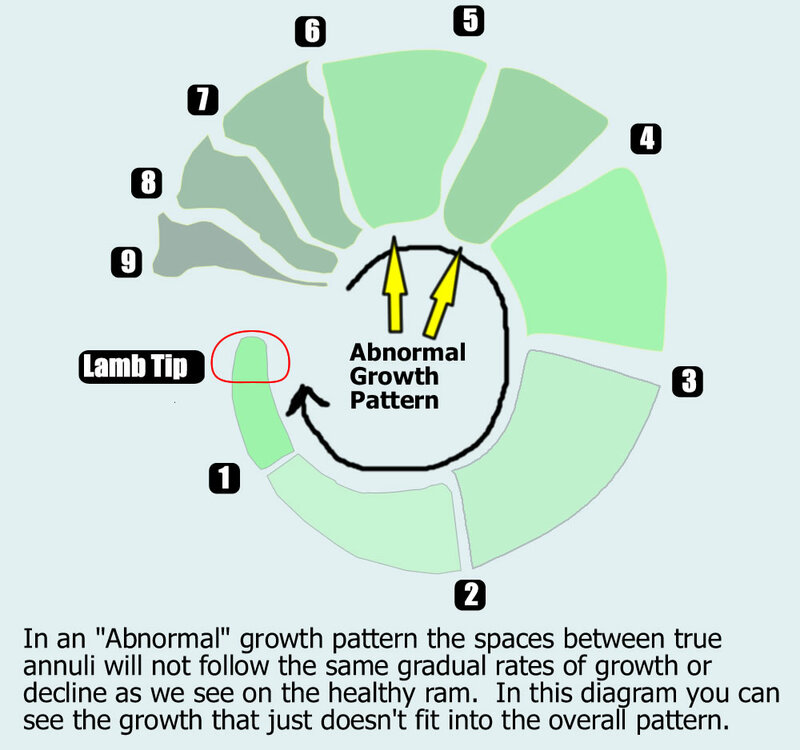 Could you share how the lamb tips are formed? Glad you found it helpful! The lamb tips are formed during the rams first few months of life. Some rams broom them off before they are legal to shoot though. Thanks JC! I hope you found it helpful. Amazing post!! Perfect explanation of ram curl. The pictures really makes everything a lot clearer. Thank you. Thanks John, Glad you found it helpful. What I really like about this article is that it is well explained, the photos are of a great quality and the growth platform is presented in detail. Thank you for sharing! Thanks for your comments. Maybe you would be so kind as to reciprocate the backlink? If you posted a link to this article on your site? 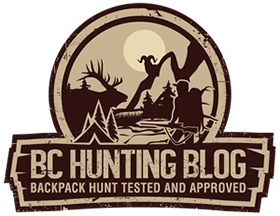 I review this site lots as a refresher ….and the gear list! Cannot thank you enough for posting this! It has become extremely helpful to me; as me and a friend are going for a Stone Sheep hunt next year. I am glad you found it helpful, Good Luck on your hunt next year! This was an awesome guide, the pictures of the rams really helped me identify the differences between the trophy and non-trophy animals. Very nicely done,great photos.The only thing i got to say is, big looks big,small looks small.Squeekers??? hmm move on.Everyone should study photos of rams.Being hunting them for over 20 years and still learning.Good hunting to everyone. Thanks George. Glad you found it helpful. Good luck out there. Thanks for the article. I bookmarked it as a reference guide to all new sheep hunters. Cool, Thanks. Glad you found it helpful. Excellent article. Who would I speak to regarding reprinting portions of this in the Wild Sheep Society of BC’s magazine, Wild Sheep Forever? Thank you for the kind words. The person you’d be looking for is me. Yes, you are more than welcome to reprint portions in the WSSOBC magazine. Thanks Carl for the great info. 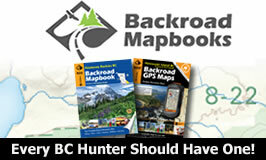 I’m going hunting with BC Safaris in a few months and this helps me with my home work. When I am hunting deer in Wyoming I may pass up 60 – 80 bucks before I find what I want. I get the feeling this is not what Stone sheep hunting is like. How picky should one be? It looks like you’ll be hunting in Region 6 which has a healthy population of Stone’s and generally the outfitters in the region have decent success rates. You might not get the chance to pass up 60-80 rams though, lol. I’ve been hunting Stone’s for a decade now (every year) and haven’t even shot one yet! 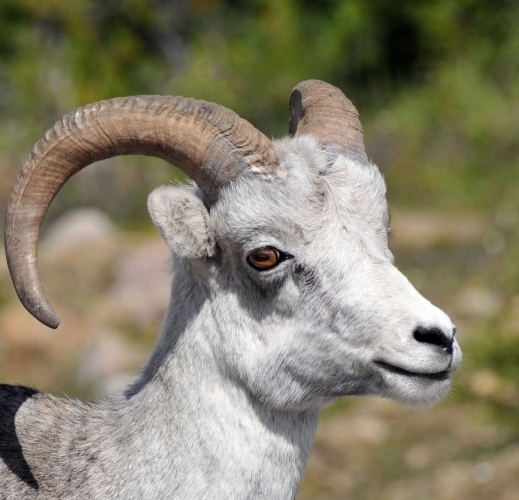 We have passed up several though as I’d prefer a ram that is at least 10 years old or 40″ a nice mature ram. How picky you get is up to you but I’ll tell you that harvesting a full curl 8 year old ram is quite an accomplishment. The better shape you are in the more enjoyable your hunt is going to be. Good Luck!